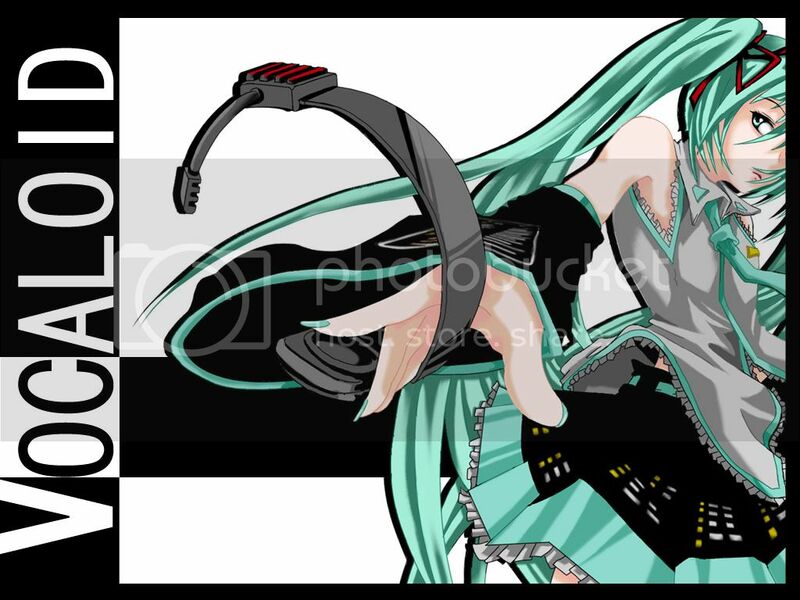 ~Eternal Snow~: Vocaloid Spotlight: Hatsune Miku Series 1. It has been more than a week since the last Vocaloid Spotlight post, and wished I had posted this much sooner. I got a few Miku songs that I want to put up, but I shall limit myself to 3 videos for today. 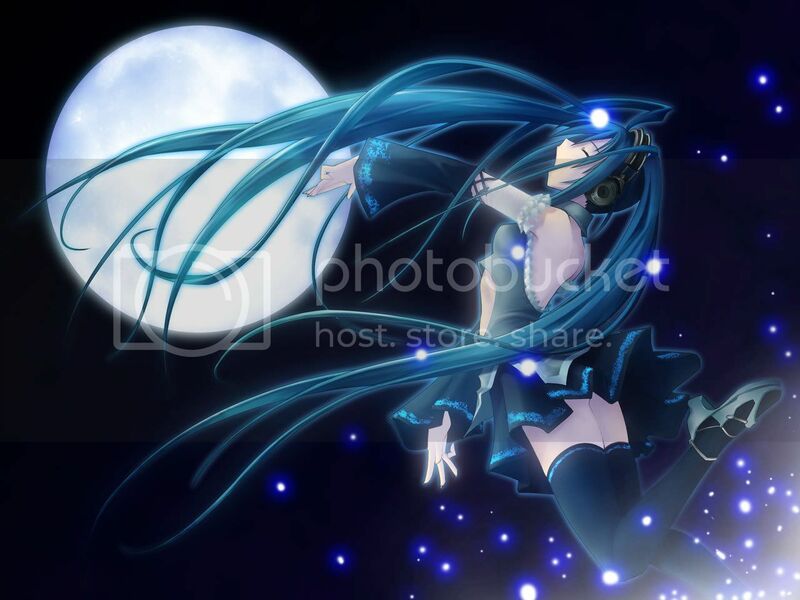 Hatsune Miku - Celestial Symphony. Done by HALL & minato. From listening to the song, it gives the vibes of a trance song, but slightly slower, seems like a nice song to dance to nevertheless. I read somewhere that MAD is going to do a Gundam 00 AMV using this song soon, I'll try to find it once it's out. Hatsune Miku - Soar. Done by minato. I would say this song's pace is similar to the above, trance-like? Catchy tune, though truthfully nothing really outstanding, just nice to listen to. Mp3 can be found here, but I think you'll need a nico account for this too. 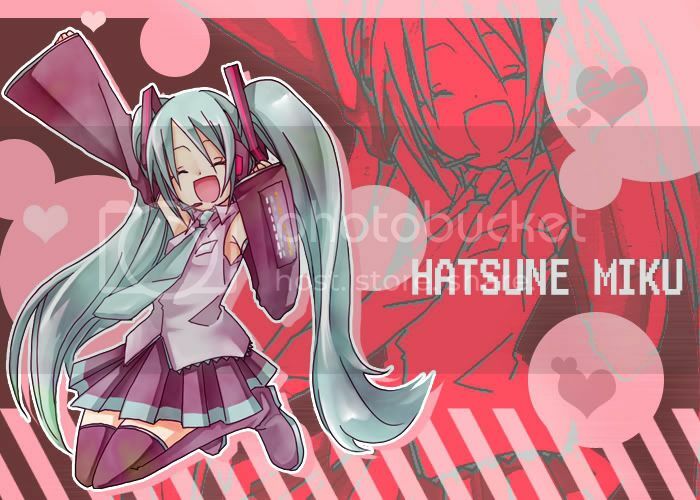 Cute illustration of Miku by Kuroneko. Hatsune Miku - Miku Miku ni Shite Ageru♪ [Shite yanyo]. Made by Ika if not wrong, I'm not sure for this. Initially a request by Zero for the mp3, I decided to add this entry here. Despite it coming out on last year September, it's still going strong on the Weekly Vocaloid Ranking, taking 2nd placing for last week (#26). Apparently there's a full version for this song floating around (not sure if it's fan-made or original), but Nico had taken it down, though I did found the youtube link instead here. Mp3 can be found here, but it is also using nicosound like above, so I guess will need to get an account? One more cute illustration by nezuki. I believe that alot of people doesn't use Nico Nico Douga, which I do find nicer to watch Vocaloid/anime related videos from. The only sad thing about this site is that it's only in Japanese, so those who doesn't know the language most likely wouldn't be able to navigate, nor even make an account on this site. However... never fear!! 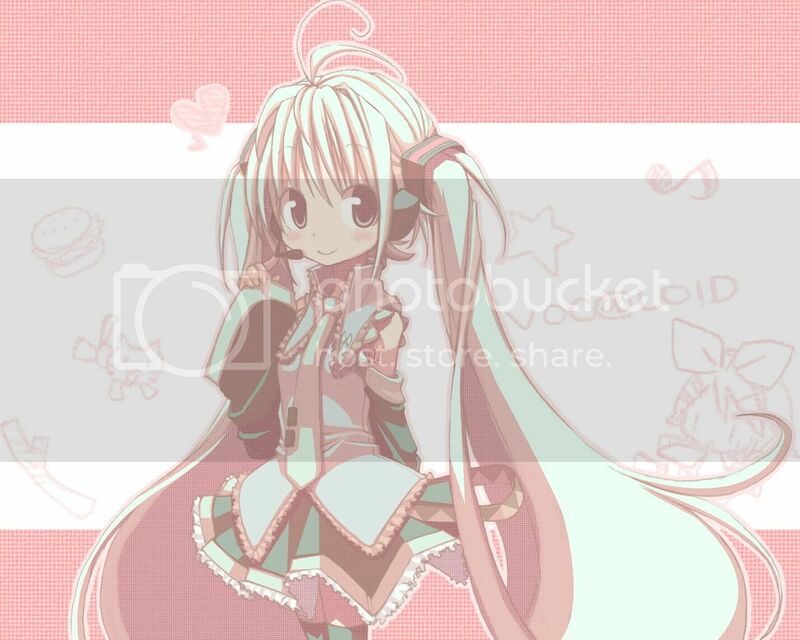 ミクミク has kindly did a post in english on how to create an account!! I also get my weekly updates of the Vocaloid Weekly Ranking from this site, which in turn I do these Vocaloid Spotlight to highlight the songs I liked. That's about it for now, and will start working on the next post which is going to be also another Vocaloid Spotlight, soo enjoy these for the time being. Signing out.